Definition at line 23 of file ARCTargetMachine.h. 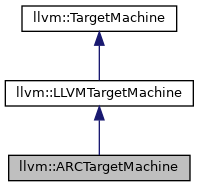 ARCTargetMachine ctor - Create an ILP32 architecture model. Definition at line 29 of file ARCTargetMachine.cpp. References llvm::LLVMTargetMachine::initAsmInfo(), llvm::SystemZISD::TM, and ~ARCTargetMachine(). Definition at line 66 of file ARCTargetMachine.cpp. 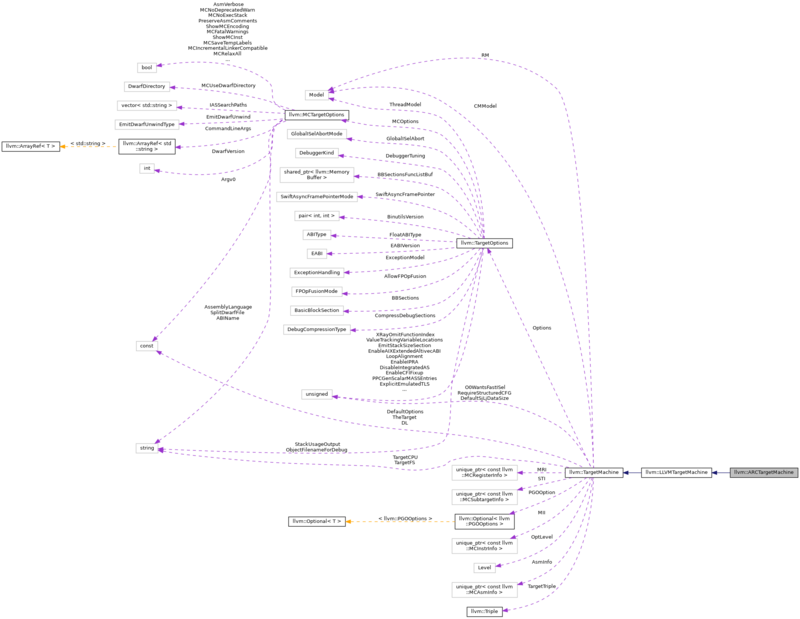 References llvm::createARCBranchFinalizePass(), llvm::createARCExpandPseudosPass(), llvm::createARCISelDag(), llvm::createARCOptAddrMode(), and llvm::TargetMachine::getOptLevel(). Definition at line 43 of file ARCTargetMachine.h. Definition at line 34 of file ARCTargetMachine.h. Definition at line 35 of file ARCTargetMachine.h. Definition at line 88 of file ARCTargetMachine.cpp.